Having been away for four days ‘helping’ with a college trip to Belgium (my husband was the tour leader – his A level students) I’m finding it hard to get back to poetry. I suppose it’s partly because I’m having to catch up with work as well, and not having a proper night’s sleep the whole time we were away (teenagers don’t go to sleep before 2am, so nor can anyone else in a Youth Hostel where there are no carpets and the doors all slam). Although they were (for the most part) very nice people, I just found the whole being-around-40-teenagers utterly exhausting and a tad depressing. Their energy saps mine, their zest for life deadens my creativity. I’m amazed at how so many writers are able to combine a teaching career with writing – and yet it’s such a common combination, whether it’s by choice or necessity. OK, I realise I’m probably being over-dramatic here, after all I think a foreign trip is tiring even for the full time teachers, because you’re never off-duty, not for a moment. Anyway, I think I now have an even higher respect for my husband and his colleagues for everything they bring and give to teaching. I just know I don’t have that kind of generosity in me! 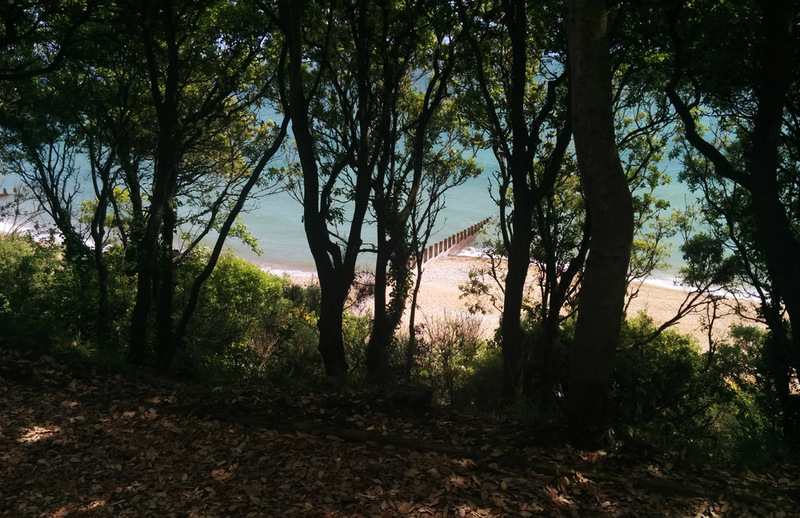 But on a more positive note… lots to look forward to, not least of all some much-needed sunshine! The answer to a creativity deadzone for me is to read, and read good stuff. 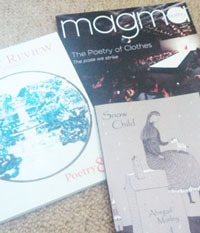 I’ve still to explore the new Poetry Review and Magma which arrived a week or so ago, plus I’m reading Abegail Morley’s Snow Child and Ben Parker’s The Escape Artists, so I’ll be talking about those soon on the blog. 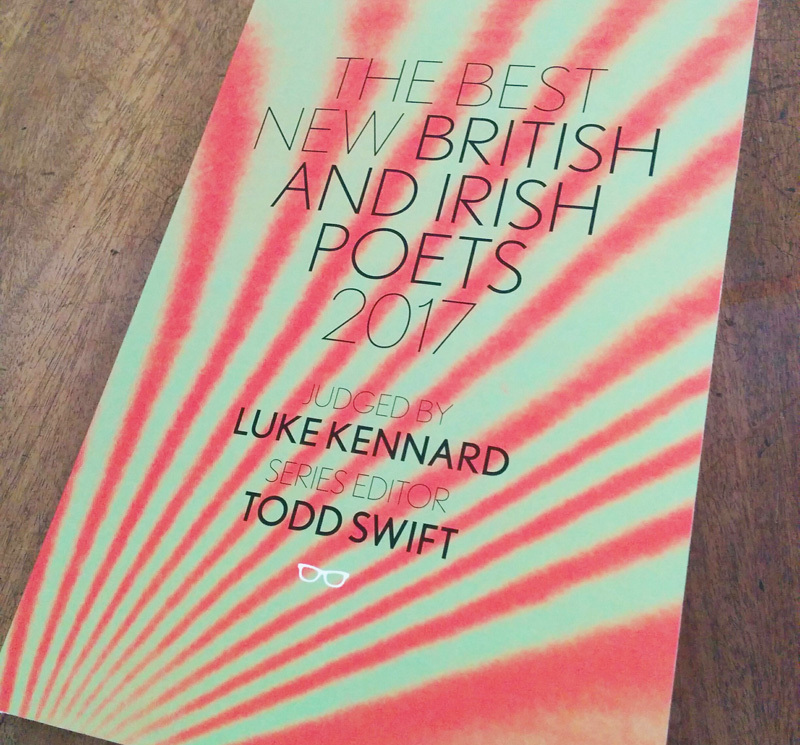 Poetry readings coming up: Hilda Sheehan has very kindly invited me to read at the Blue Gate Poets meeting on 8th August in Swindon, and I’m currently talking with the organisers of the Shoreham Wordfest about putting on a poetry night where I hope to be reading alongside some lovely poet friends. Then come October there are exciting plans for a reading with Abegail Morley and Emer Gillespie – will keep you posted.